Tweezen: Light of the Shadow is a fantasy webcomic that takes place within the world of Ja'aire. This place is familiar in many ways, but unfamiliar in just as many. 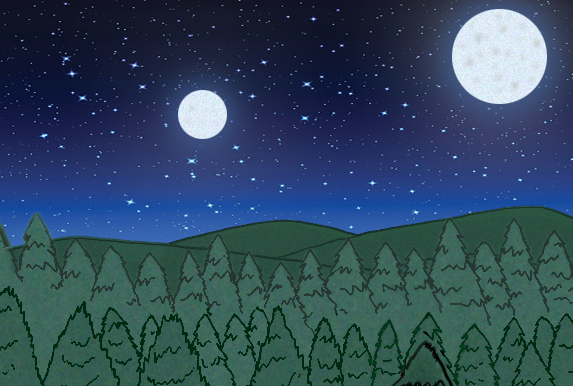 For instance, while it takes place in a setting similar to Earth, this place has two moons. And despite the fact that this world is also populated by humans, they share the planet with many other sentient races. These sentient races have learned to harness their Aaura, their spirit energy to do amazing things that has shaped their world. By harnessing their energy, they are able to run faster, jump higher, lift heavier, and even perform more lucacrious acts that cross the realms into magic. Imagine by concentrating hard enough you could conjure up a fireball; by working hard enough you can instantaneously teleport yourself miles away, by thinking hard enough you could turn invisible, conjure ice, become invulnerable, morph into animals, raise the dead, read minds, increase your strength twelve-fold; and many, many others. In the world of Ja'aire, a person who knows these abilities is common place, they are literally taught in school. In these schools, young children are taught how to read, write, do math and control their spirit energy in various ways. It's expected for all youths to go to this school, this academy. There is one exception however, this is called, "The Disciple's Exception". Basically the child's guardian feels they could do a better job of teaching them, takes them out of school and teachers them themselves. Outside of an exam the disciple much take at the end of the year, the child is completely exempt from school. The story of Tweezen: Light of the Shadow follows the mercenary Stoneheart and his teenaged disciple Rock Freeman as one job turns into the biggest adventure of their lives. What's up fellas, my name is Bryfang and I'm a self-taught, early 30's artist that's from and currently lives in New York City. When it comes down to it, I'm just a young man who has a story to tell. The idea for Tweezen came to me in my early teens: My buddy gave me his Final Fantasy games for the Super Nintendo and my mind was just blown by the RPG genre (Role Playing Game). Soon after that, I found myself creating my own stories with my own fantasy worlds. Years passed and life marched on, but Tweezen was never made. Even worse was I had completely neglected drawing. I hadn't drawn for years and my art skill reflected that. I tried to draw Tweezen a couple times, but each time I wasn't pleased with how it looked and stopped the comic in its tracks. Things changed this year hoiwever. I finally came to the realization that my skill isn't going to magically get better and Tweezen will never be made if *I* don't make it. So despite my mediocre art skill and terrible web design talents, Tweezen: Light of the Shadow is here. I thank and I'm extremely grateful for all of you who're taking this ride with me.